The book can be purchased on their website here. “After over six years of preparation, a new consolidated and illustrated history of The Fort Garry Horse is now in print. Copies will be available to the public after 13 April 2012. The book, at 560 pages, begins with early cavalry units in Manitoba on to the formation of the 34th Regiment of Cavalry in April 1912. The story then follows the regiment into the crucible of the First World War, and the challenges and changes of peacetime soldiering in the 1920s and 1930s. 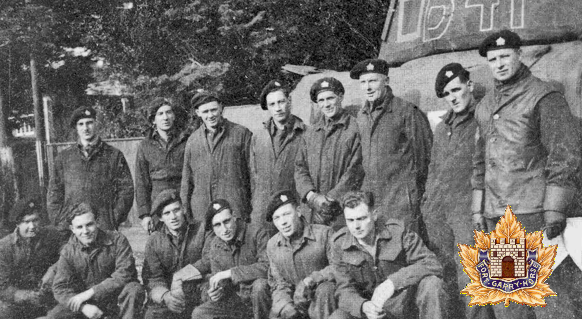 Two chapters are devoted to the service of the Fort Garrys as an armoured regiment in the Second World War. The immediate post-war years of re-building and training are followed by the formation of a Regular Force component of the regiment from 1958 to 1970. Concurrently the services of the regiment in Winnipeg are described and illustrated, through changes of role and missions, training for war and domestic operations in Canada, and experiences of Garrys serving abroad in the Middle East, Cyprus, the Balkans , and Afghanistan.